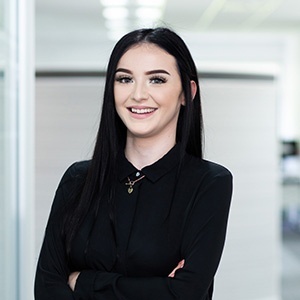 April is a Paralegal at CFG Law, having joined us in 2018. April shows an impressible enthusiasm for the ethos of CFG Law and the approach to helping clients from day one. April believes it is important to provide regular updates to clients and communicate with them throughout the process. She understands the need to manage clients’ expectations at each stage of the process and make sure they understand what is going on and are comfortable with how things are developing. A personable approach to dealing with clients and their families. Helping clients to understand what is going on and breaking things down to make them easier to understand. A good eye for detail to spot any inconsistencies in a case and make sure everything is fully explored for clients. CFG Law’s different approach to personal injury and helping all those affected by injury. Analysing neurological symptoms and the impact they have on people’s lives. Friendly colleagues who are always on hand to help, no matter what. Researching and studying to learn new things. Subtle brain injuries and the complications in diagnosing these types of injuries. Styles and application of makeup.